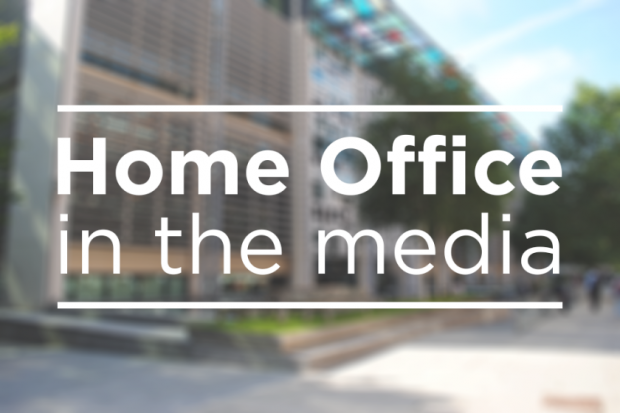 Today's Home Office-related stories include protests outside family planning clinics and so-called "honour-based" crimes. BBC Online, the Telegraph and Independent report that a survey of 101 parliamentarians found that 57 per cent of MPs supported Ealing Council’s decision to introduce ‘buffer zones’ outside a clinic while 24 per cent opposed the decision. The findings came from a YouGov poll, which was carried out on behalf of the British Pregnancy Advisory Service (BPAS). The Policing Minister will be speaking at a Westminster Hall debate on the issue later today. The Guardian, Sky News and the Today programme reported on the scale of “honour-based” abuse. The Guardian reports on figures obtained by the charity Iranian and Kurdish Women’s Rights through a FOI request, that shows that the number of cases have increased by 53 per cent since 2014, but the volume of cases referred to the CPS is at its lowest for five years. Sky News also ran a report with a short interview with Wendy Williams from HM Inspectorate of Constabulary and Fire & Rescue Services saying that there is a lack of knowledge among police officers about the nature of "honour-based" abuse and the form it can take. For any further media interest on this issue, we encourage journalists to contact the press office.